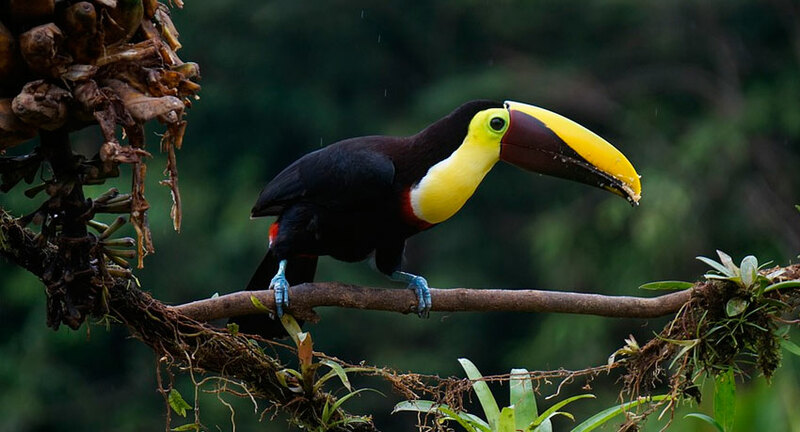 Here is our selection of the top ten rainforest lodges in Costa Rica. The first few are Costa Rica’s best luxury rainforest lodges suited to travelers wanting a premium experience that exceed expectations for comfort and service. The others offer a comfortable and more homely or adventurous experience of the rainforest. The Lapa Rios Lodge offers luxury accommodation in a 1,000 acre private reserve of Central American rainforest. Positioned on a ridge with fantastic ocean and rainforest views, the lodge offers a luxury stay in wildlife-rich rainforest. The design of the lodge offers an immersive and intimate rainforest experience. Even from the lodge itself, you’re likely to see a diversity of colorful birds. The lodge is composed of 17 luxurious bungalows, each with an open-air and fully screened design to keep you connected to the environment. Enjoy views of the sunrise and the sights and sounds of the tropical rainforest. Enjoy a spacious and private deck, outdoor rain showers, hammocks, and organic bathroom products. Customize your stay or choose from the different package options. 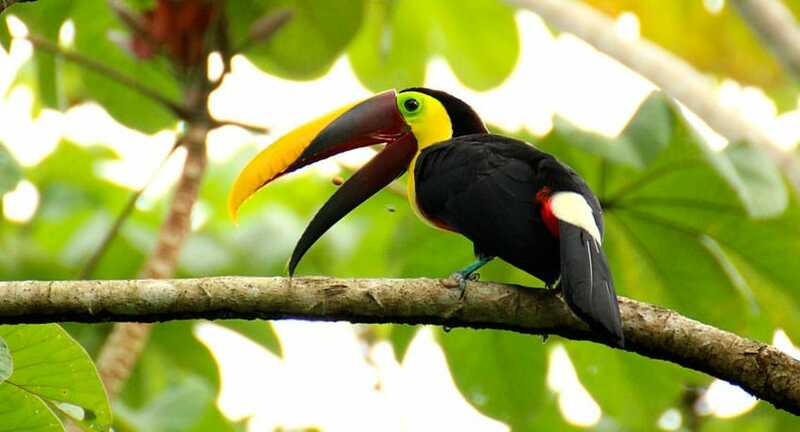 Enjoy wildlife tours with expert naturalist guides to find some of the region’s 320 different birds, including the colorful aracaris and parrots, find different monkeys, poison dart frogs, and lizards, learn about medicinal plants and see where the rainforest meets the beach. There are four highly experienced naturalist guides at the Lapa Rios Lodge. Each guide offers local knowledge about the area. You will then enjoy delicious cuisine of a-la-carte meals made with local ingredients. The open-air Brisa Azul restaurant is where you will eat most of your meals. Look over the beautiful ocean as you enjoy the diverse menu made with the best locally sourced ingredients. The Pacuare Lodge is a luxury rainforest lodge positioned on the bank of Costa Rica’s Pacuare River. With its unique position, you will be surrounded by an incredible environment of tropical rainforest, the white-water river and fantastic wildlife. The lodge was built with a traditional indigenous design and offers luxury suites with delicious locally-sourced cuisine. You can choose from a variety of suites, including the Jaguar Villa, which is the most luxurious option. 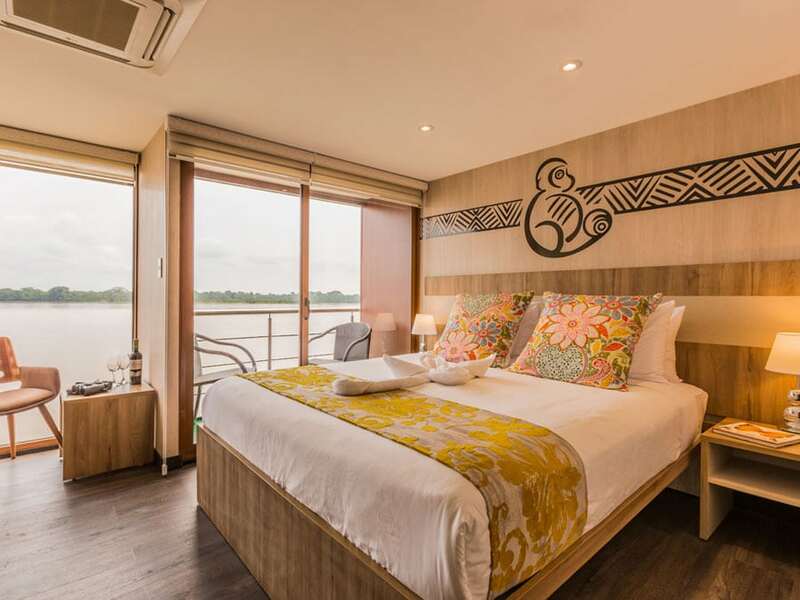 The suite was specifically designed to maximize comfort while keeping the strongest connection to the tropical rainforest. In the Jaguar Suite, enjoy high-quality furniture, hardwood floors and open areas, including a terrace with spring-fed pool, spacious bathrooms and outdoor showers. Enjoy the sound of rushing water, birdsong and the beauty of the rainforest. Another of the accommodation options is the Linda Vista Suite. These spacious and bright suites offer fantastic views of the Pacuare River and surrounding rainforest. In the dining room, enjoy fantastic views of the river and rainforest while you enjoy delicious cuisine. The ingredients are organic and locally sourced. The majority are sourced from the lodge’s own organic farm. In addition to comfortable suites, rainforest and river views and the delicious cuisine, the Pacuare Lodge offers the Jawa Juü Spa. Choose from a range of wellness therapies to fully relax surrounded by pristine rainforest. Aside from the fantastic lodging and cuisine, the main attraction is the incredible environment. The Pacuare Lodge package tours combine accommodation, lodge transfers in either 4×4 vehicle or white water rafting and a variety of guided experiences. These include the Cabécar indigenous hike, ancient trail & hidden waterfall hike, and canopy tour. El Silencio Lodge & Spa offers a luxury lodge in Costa Rica’s forested mountains. Nestled near the Poas Volcano, the lodge offers a secluded and relaxing escape surrounded by nature. Found 90 minutes from San José, the lodge is located in the beautiful Bajos del Toro on a 500-acre private cloud forest reserve, which is next to the Juan Castro Blanco and Poas Volcano National Parks. Choose from different luxury accommodation options, such as the Master Suites, Riverside Suites and Private Villas. Each was designed to offer a fantastic experience of the region with a simple and natural design. The entire lodge is designed to offer each accommodation a fantastic view of the surrounding cloud forest. The meals are prepared by professional chefs and are influenced by some of the best restaurants Costa Rica has to offer. The majority of ingredients are sourced from the lodge’s own small organic farm. In addition to enjoying luxurious suites and organic meals made from locally sourced ingredients, you will have guided walks in the hummingbird garden and on cloud forest trails. The lodge also offers a range of relaxation treatments in the Esencia Spa to relax surrounded by pristine cloud forest. Relax to the sound of flowing water and sounds of the forest as you enjoy a massage or body wrap. As part of your experience, you can plant a tree to have a beneficial impact on Costa Rica’s forests, enjoy relaxing guided walks through the cloud forest, walk passed beautiful waterfalls, see colorful birds, and experience the views of Poas Volcano on horseback. Choose from El Silencio package options to make the most of your stay from the relaxation or adventure package to focus on your interests. The Origins Luxury Lodge is one of the newest luxury nature lodges in Costa Rica. The lodge is located in a beautiful region, which offers the turquoise waters of Rio Celeste, surrounding cloud forest and fascinating caverns. Enjoy the wildlife-rich surroundings with your naturalist guide to find colorful birds, different monkeys and incredible plant life. In addition to exploring during the day, you will also experience the forest at night to see a completely different set of animals. Enjoy a suite or private villa with very comfortable beds and views of the estate, volcanoes, tropical forest and Nicaragua Lake. The lodge dining room then offers high-quality dishes of Haute Cuisine made from fresh and locally sourced ingredients prepared by Michelin-starred Chef Jean-Luc L’Hourre. In addition to luxury accommodation, delicious cuisine and guided hikes, you can also relax with an outdoor massage surrounded by tropical forest. Choose from a range of treatments to fully relax in this incredible environment. The Monteverde Lodge is positioned in Costa Rica’s wildlife-rich cloud forest. The lodge is composed of 28 rooms, offers a solar-heated swimming pool, forest trails, the hummingbird garden, pond and hammock area. 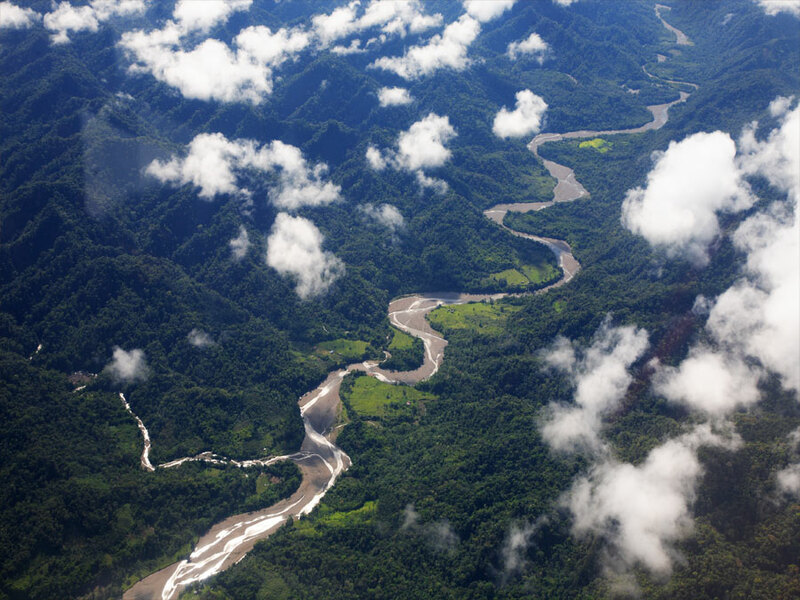 Enjoy guided cloud forest hikes in different areas to see a diversity of animals and plants. Led by your experienced naturalist guide, learn about the forest and its inhabitants. Enjoy the wildlife-rich surroundings to see a variety of colorful birds and several different monkeys. To make the most of the experience, you can choose from a variety of different Monteverde Lodge package options. These include transfers to the lodge, accommodation, guided tours and meals. Enjoy the spacious lodge with personalized and informal service. Breafast, lunch and dinner are served in the El Jardin Restaurant at Monteverde Lodge. Meals are prepared using fresh locally sourced ingredients and all meals are served with fresh homemade bread. You can then choose from our wine list, including some of the best wines from South America. The lodge’s guides were born and raised in the region and are the best people to show you this incredible forest and mountains. Your guide will take a bird spotting scope so you can make the most of all the wildlife you can see on the trails. Positioned on Drake Bay, La Paloma Lodge offers an experience of Costa Rica’s rainforest. 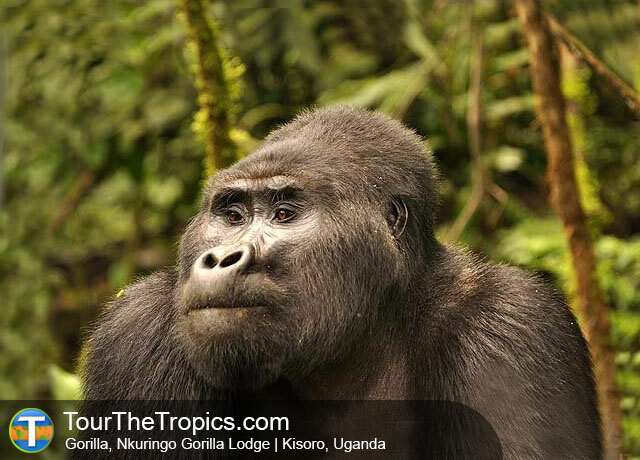 Enjoy comfortable accommodation and the knowledge of experienced naturalist guides. The Osa Peninsula offers a fantastic destination for nature lovers and adventure seekers. From the lodge, the nearby Corcovado National Park is a wildlife-rich area to explore, which provides habitat for many rainforest animals. These include jaguar, sloths, monkeys, reptiles and colorful birds, including parrots, macaws and hummingbirds. In the coastal waters, you can find manta rays, turtles, dolphins and tropical fish. La Paloma Lodge grounds covers 14-acres and the lodge itself sits on a cliff overlooking the Pacific Ocean. The lodge is composed of 7 bungalows and 4 rooms. There is also a 3-bedroom luxury beach house for a little more privacy and seclusion. Guests can even see wildlife from the comfort of the lodge and it’s a common sight to see monkeys playing in nearby trees. You can also see different colorful birds, such as the iconic scarlet macaws. Your balcony provides a fantastic area to observe the rainforest. In addition to viewing the rainforest from the comfort of the lodge, you will also head out on trails with a naturalist guide to find the fascinating and iconic animals and plants. The lodge is a great place to explore Corcovado National Park. Enjoy snorkeling in the waters of Caño Island or simply to relax. La Paloma is a great lodge for nature lovers, couples on a romantic getaway or for families wanting a different type of vacation. The Playa Nicuesa Rainforest Lodge offers a fantastic experience of Costa Rica’s rainforest. The lodge is only accessible by water, which provides a relaxing and exclusive escape. On the journey to the lodge, you will experience dramatic mountain views, turquoise blue water and being joined by the occasional dolphins and large brightly colored butterflies. Enjoy comfortable accommodation and delicious, fresh and locally sourced food with beautiful views from the tree-house style restaurant. With our resident naturalist guides, explore the rainforest to find the many different animals and plants. This stretch of Costa Rica’s coastline where you find the Playa Nicuesa Rainforest Lodge is an excellent area for swimming, kayaking, snorkeling, paddle boarding, dolphin watching and fishing. You can experience all these activities and more during your day trips. Suites are found in the main lodge, however, you also have the option of private villas in their own secluded location. Each retreat offers private entrances, hardwood floors, and open-air showers. On guided walks, explore the Piedras Blancas and Corcovado National Park trails. The parks also have horseback riding and canopy tours on offer. On the lodge grounds, you can enjoy different trails and the medicinal plant walks. Choose from all-inclusive vacation packages from the lodge to make the most of your Costa Rican experience. 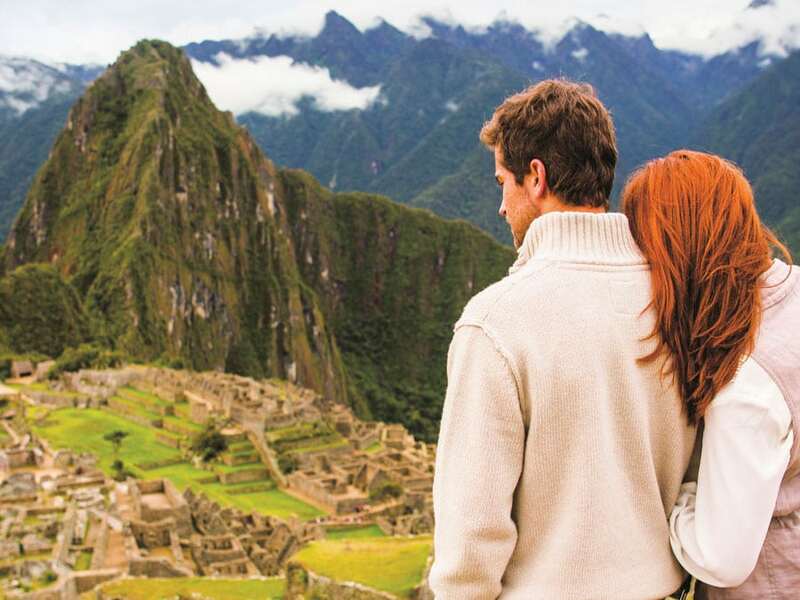 Choose from packages focused on relaxation, romantic getaways, nature or adventure. The Casa Corcovado Jungle Lodge is nestled in a 170-acre private reserve at the edge of Corcovado National Park. As there are no roads, you will arrive at the rainforest lodge by boat from the sleepy town of Sierpe. You will travel through the largest mangrove wetlands on Central America’s Pacific coast . On the trip, you will be on the lookout for wildlife, such as several different monkeys, crocodiles and many different birds. When you arrive at the lodge, you can enjoy a complimentary cocktail and your lunch will be served after arrival. You can choose from a variety of accommodation options, including the Honeymoon Suites, Junior Suites and Deluxe Bungalows. Enjoy guided tours of the Corcovado National Park, which offers Central America’s highest concentration of jaguar, tapir and scarlet macaws. Explore the area with your naturalist guides to find some fascinating animals and plants. The park is also a favorite destination for birdwatchers, as you can see hundreds of species. The birds you can see on the trails include the iconic toucans and scarlet macaws, but also tanagers, makains, honeycreepers, cotingas, caciques and many others. Explore the area looking for birds and monkeys while colorful butterflies fly around us in the rainforest. In addition to exploring the forest by day, you will also head out at night with your guide to see a completely new set of animals. At the lodge itself, you can take a swim in the spring-fed swimming pool or enjoy the bar for a drink while observing the different animals in the surrounding rainforest and fruit trees. The Tortuga Lodge offers a comfortable experience of Costa Rica’s rainforest and beaches. There are different comfortable accommodation options to choose, which all feature comfortable beds, ceiling fans, hot water and free wireless internet. From the comfortable base, explore Tortuguero National Park and Tortuguero Village. 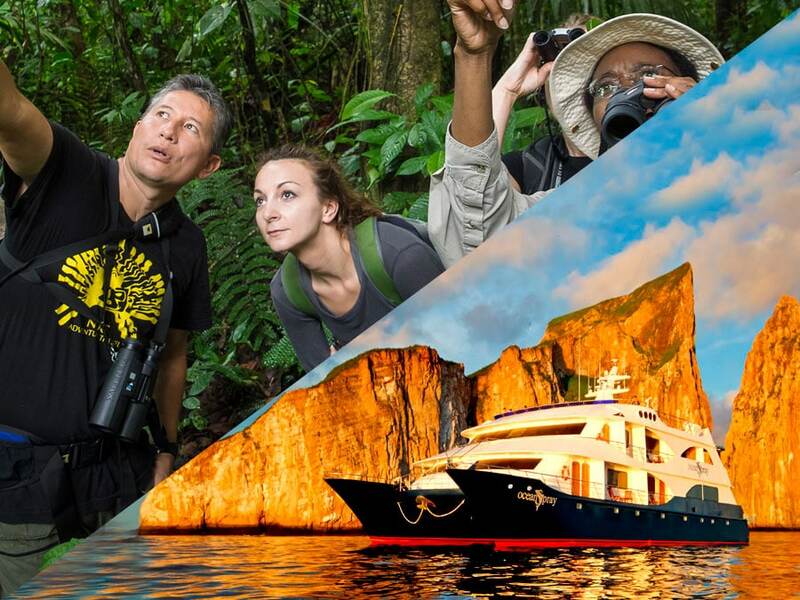 Led by naturalists who grew up in the region, enjoy guided expeditions through the rainforest to find different monkeys, colorful birds birds and tall rainforest trees. Explore the different creeks and waterways on kayaks. Your guides will choose the best areas to explore each day to make sure you have the best chance of seeing the different animals and plants. A main attraction of the lodge, during the nesting and hatching season is the tour to see the hundreds of the turtles on the beachs. Nesting is between July-October and hatching is from late August-November. At the Tortuga Lodge, you can also choose from different package options to make the most of the experience. The packages include 3-day, 4-day or 7-day options to include guided tours of Tortuguero National Park and Tortuguero Village, accommodation, meals and lodge transfers. The Tiskita Jungle Lodge offers an experience of Costa Rica’s tropical rainforest. Founded as a lodge and fruit farm, the lodge now protects 800 acres of rainforest in a private biological reserve. There are nine private cabins, which offer 17 rooms in total. The lodge is a few minutes from either the rainforest or the beach making it a perfect destination to experience Costa Rica. In addition to your rooms, there are social areas and the lodge pool. You will then enjoy delicious food of both Costa Rican and international dishes in the open air dining room. There is also the self-service bar to relax with a drink when back at the lodge. 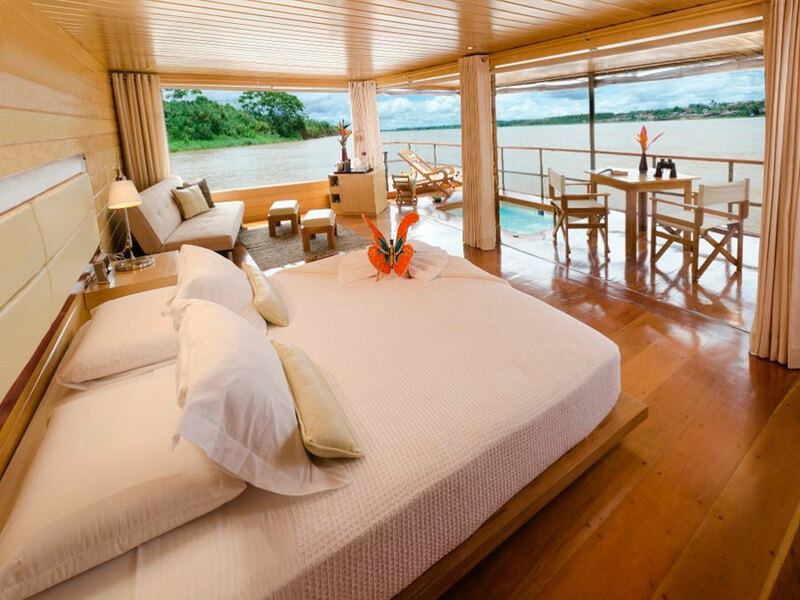 Each of the comfortable cabins is spread around the main lodge to offer privacy and a connection to the rainforest. Trees around the cabins are frequently visited by birds, monkeys, and butterflies making your accommodation a great place to relax and watch the wildlife. Around the lodge, you can find many different trails through the Tiskita Private Biological Reserve. Enjoy some of the self-guided options or head out with an excellent wildlife guide who will point out the many interesting animals and plants. You can also enjoy a guided tour at night to see a completely different set of animals.